Mrs. Files's class is learning about earthquakes in science. 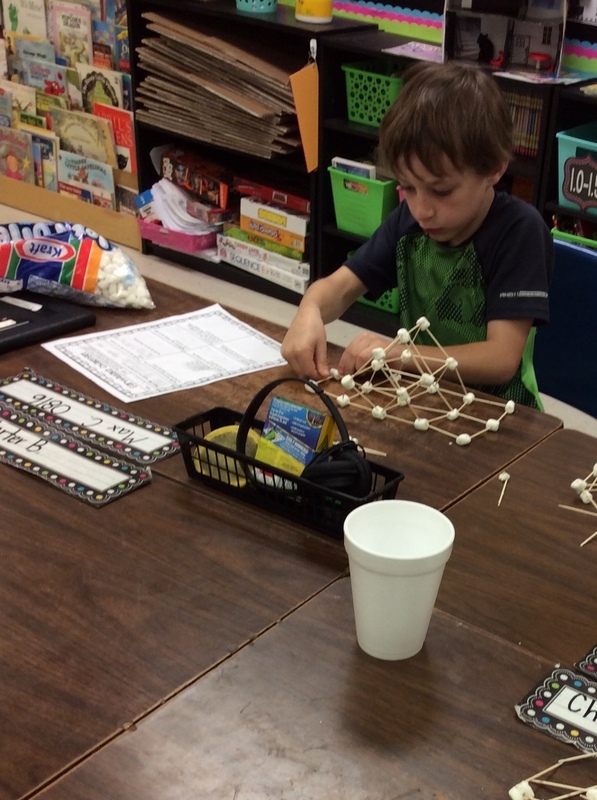 In this challenge, students used materials to design a three story structure that can withstand being shaken in a mild earthquake simulation. The “earth” pan provided for the simulation uses an easy supply- gelatin! The structures were built using only two materials, had to resemble a building (not a tower), and had to be stable enough to keep standing. Way to go Mrs. Files's 2nd grade class!